In Spanish Property Sales we advise you to come and try our fantastic villas for sale in Moraira. Within all our varied range of properties in Moraira, this model stands out above the rest. The reason for this lies in the many qualities available to its owners to live unforgettable experiences. In our villas you can live all your family thanks to the space offered by each of them. We offer properties with more than 5 rooms so that each family member can have their privacy and their comfort zone. In this way, global coexistence will be great. Among its many qualities are its pool, its visits and its proximity to leisure areas. First, Moraira is a city located north of the province of Alicante, so the climate it offers is incredible. With a private pool you can bathe at all hours and play with your friends. Second, our villas are built in different areas of the city so that their owners can enjoy beautiful views. In third place is leisure. Moraira offers multiple entertainment areas so that, regardless of age, everyone can enjoy: restaurants, shopping centers, playgrounds, etc. 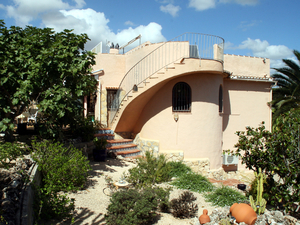 At Spanish Property Sales we focus our work on the continuous enjoyment of our villas for sale in Moraira. We want our clients to enjoy all the purchase development of the home. For this, our professionals will be responsible for providing all the necessary information so that our customers do not have to worry about anything. Only for enjoying your new villa. Our real estate agency in Moraira is composed of authentic specialists in the sale of real estate in this area of ​​Spain. Everything you need, they will facilitate. Choose one of our contact options and trust the work of our professionals, buy your future; come to Spanish Property Sales.